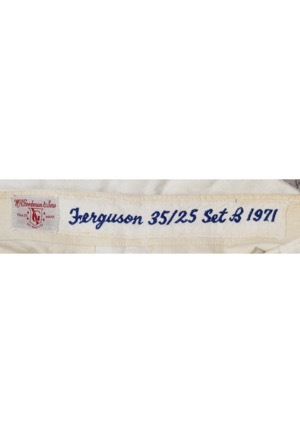 On the front left tail is the Rawlings manufacturer’s tag size “44”. 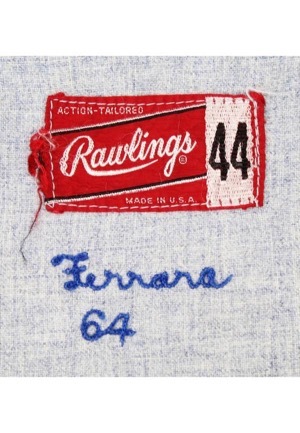 Adjacent below reads “Ferrara 64” embroidered in blue chain stitching. 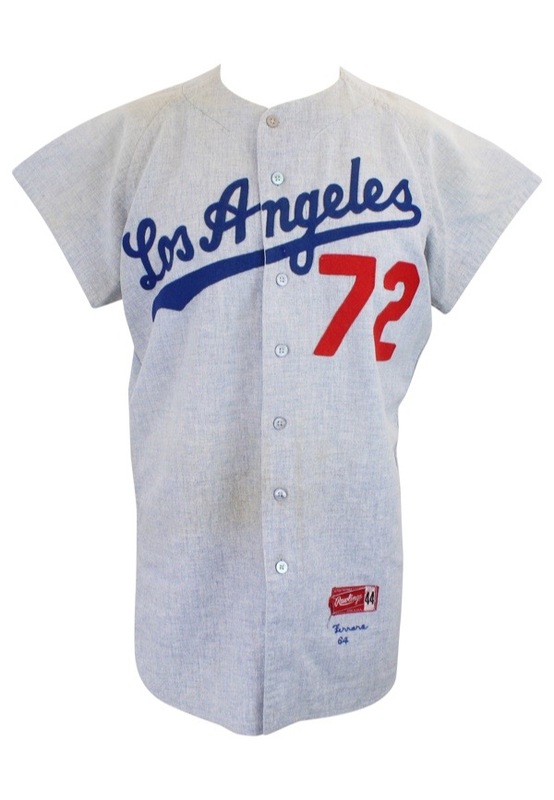 Across the chest reads “Los Angeles” in script style writing done in blue felt. Adjacent below is the player number “72” in red felt. 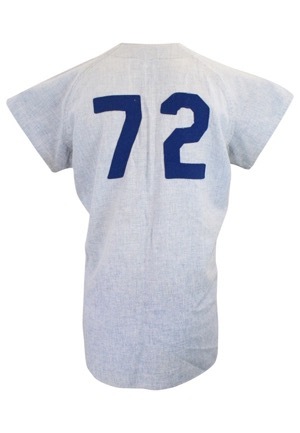 Across the back is the player number “72” in blue felt. 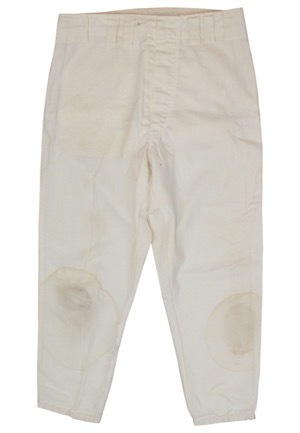 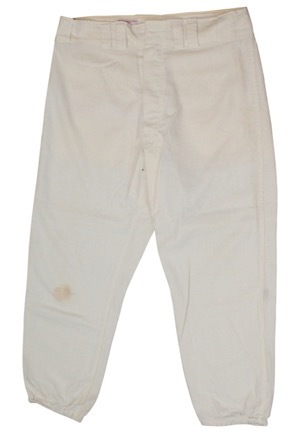 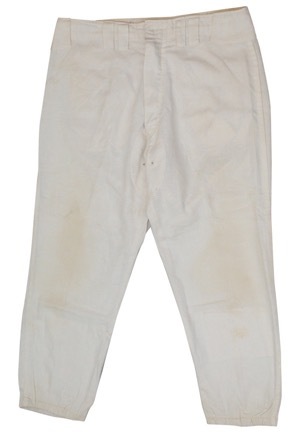 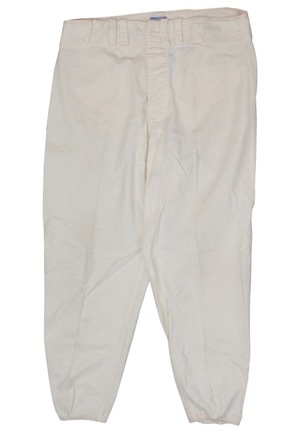 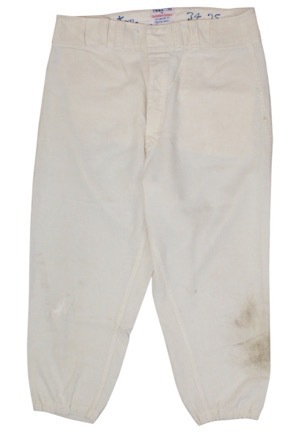 Also included are five pairs of white pants all with player names and sizes embroidered in blue chain stitching in the rear waistband.